Car accidents, whether fatal or minor, can happen to anyone. 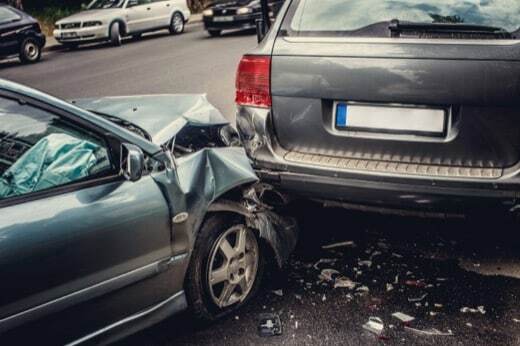 If you get involved in an auto crash in Tempe Arizona, and you suffer an injury, or your car gets damaged, you need to contact a Tempe Car Accident Lawyer at Warnock MacKinlay Law to file a car accident injury case for you, and help you get the right compensation for your damages. Data from Arizona Department of Transportation Motor Vehicle Division shows that in 2014, over 4,882,000 driver’s license was issued in the state. With this alarming number of motorists, road accident becomes almost inevitable. According to the Arizona Crash Facts Summary, as released by the state’s transportation department, there was a total of 109,556 motor accidents in 2014 in Arizona. So many casualties were recorded in these accidents; some escaped with minor or life threatening injuries, while some others were reported dead. In such situations, Car Accident Attorneys file car accident cases which result in claiming millions of dollars in compensation for their clients involved in such accidents. So many things can cause Tempe, AZ car accidents. Most times, it is often due to negligence on the part of the driver. This may be due to drunk driving, over speeding, lack of concentration, disobeying traffic rules, non-maintenance of vehicle, or other forms of negligence which causes avoidable car accidents. It is true that bad weather and bad road can also cause an auto crash, but most times, it is caused by drivers. In such cases, Car Accident Lawyers Tempe AZ can obtain police records, and use it to claim adequate settlement for the victim involved in the auto crash. result in paralysis, causing the person to lose the ability to move about freely; brain damage, which can inhibit a person’s reasoning and cognitive ability; permanent fracture; loss of sight; skin burns and injuries that can leave a scar which would never go away; amputation of legs or other parts of the body, which can make a person unable to walk again, or keep the person relegated to a wheelchair; shock; depression, etc. In such cases, one can lose the ability to work and earn a living for one’s self. Auto accident injury compensation can pay for these losses, and only an Auto Accident Injury Lawyer can help to achieve that. An experienced Auto Accident Attorney Tempe can be consulted free of charge, and the amount you pay him after winning the lawsuit would depend on how well he does and on the amount of compensation he can claim for you. WHO PAYS FOR TEMPE CAR ACCIDENT INJURIES? Normally, the liabilities involved in car accident injuries is paid for by the person who is at fault. In some cases such as drunk driving or over speeding, it is easy to identify the offending party, but sometimes, it becomes difficult to identify the person who is at fault. At this point, it is very necessary to hire the services of an Auto Crash Injury Lawyer. In some cases, the defaulting driver could get missing, or may not have sufficient or any insurance policy at all to cover the liabilities involved in the auto crash. In such complicated situation, the victim should engage the best Tempe Automobile Injury Lawyer. If the case accident involves a third party, such as the car manufacturer (applicable when cause of accident is substandard car or car product), the expertise of Tempe Car Accident Lawyers is needed to probe into the cause of the accident and how the accident would have been avoided, in order to determine who bears the liabilities. The amount of compensation you can get from a car accident injury lawsuit depends on the level of loss you suffered from the accident. If the case is won perfectly, you can receive enough compensation to pay for your damaged car, hospital bills, the trauma you faced, your inability to work and earn a paycheck during the period of sickness and convalescence, your incurred disability, and any other form of loss you suffered as a result of the accident. However, if you contributed partly to the cause of the accident, it may limit the amount of compensation you will get. Auto Accident Attorneys Tempe can also help secure compensation in the case of death of the accident victim. In Arizona, it is very normal for the spouse of the diseased person, their children, relatives, parents, guardians or personal representative to file for damages or compensation for the demise of their loved one(s). And in such claims, you can receive enough compensation to cover all the above-listed losses, and also pay for the burial expenses and the loss of financial and emotional contribution the deceased would have made to his family if not for the unfortunate case of their demise. Comparative cause plays a role in determining the level to which the accident occurred due to your fault. Although being partially at fault will not stop you from recovering your losses, it can, however, limit the amount of compensation you get. The percentage to which you contributed to the cause of the accident will be deducted from the amount of compensation you will receive. For instance, if 30% of the cause of the accident was as a result of your mistake, that 30% would be deducted from the amount of compensation due to you. That is to say that, out of every $100 worth of claims, you will receive only $70. Car accidents are disastrous and can cause long time changes in the lives of the victims and their families. In the state of Arizona, every car owner is always advised to purchase insurance, and the state makes sure that the defaulting party pays for liability incurred in an auto-crash. However, sometimes, things may not work out this way and it becomes necessary that you should know your right, and be able to sue the defaulting party to make sure that you get adequate compensation for your injuries and losses. The following guidelines are to educate accident victims in Tempe AZ on what they need to know about road accident injury claims and does not prevent one from seeking legal counsel. It is quite unfortunate that when you get injured in an accident, you have to be able to prove that your injuries were as a result of the accident before you can receive compensation for it. Such processes can be complicated, but when you engage us, you will only have to concentrate on getting better, while we work to prove your injuries, and the extent to which you got injured, using pictures and all other medical evidence at our disposal. Insurance companies can be tricky sometimes. They are always on the look out to see reasons not to pay you all your compensations completely. They can do this by bringing up some evidence to show that you caused the accident. To avoid being cheated by your insurance company, you need to contact an Auto Accident Attorney Tempe to help you with the technicalities of the legal process. A car accident lawyer will guide you through, and make sure you do not sign any document you do not fully understand, or which is not of your best interest, which insurance adjusters may want to use to cheat you on your settlement. In the state of Arizona, it is necessary, although not compulsory to hire an attorney. In legal dealings, just like every other field, it is necessary to engage a professional to achieve an optimum result. A Tempe Car Accident Lawyer will help prove your injuries, and the extent of damages you suffered as a result of an accident, which will determine the amount of compensation you will receive. Payment is not a problem because Tempe Car Accident Lawyers are paid on contingency basis, which means that you don’t have to pay until you receive your settlement and the amount you will pay depends on the amount of settlement you receive. It is always difficult to get compensations when you are involved in an accident with a driver who does not have a vehicle insurance policy. No matter your insurance policy, you will need a Car Accident Lawyer Tempe AZ to help you explore all possible avenues to source for compensations to pay for your injuries and damaged property. The worst kinds of car accidents are accidents involving drunk drivers. Drinking and driving is a high level of negligence, and it is very necessary to make the assailant pay for every dime worth of injury or damage you suffer due to the accident. A Car Accident Lawyer Tempe AZ will help prove that it was the value of the drunk driver, point out your losses and their worth, and fight all through the period of the lawsuit to make sure that you receive all your compensations adequately. In the state of Arizona, the statute governing car accident injuries claims has it that all cases of car accident injuries must be filled before two years from the date of the accident. If the time an accident happened exceeds two years, the victim can no longer file a lawsuit against the defaulting driver, or lay claims to any damages as a result of the accident. What does it Cost to Hire a Tempe Car Accident Lawyer? A Car Accident Lawyers Tempe AZ is paid on a contingency basis. That is to say that you don’t have to pay the lawyer any money until you are paid your claims. Also, the amount you pay will depend on the amount of compensation the lawyer was able to claim for you. What do I do if I get involved in an accident? What will happen if my insurance company refuses to make payments? How can I pay my hospital bills? How can I replace or repair my wrecked vehicle? This car accident City guide is designed to provide answers to these and many other questions about road accidents in Tempe Arizona.